The facility is an innovative and sustainable food production system that combines fish farming with hydroponic cultivation of plants in a closed recirculating fresh water system. In the township of Orlando, Soweto, many learners go to school hungry. But this will soon be a thing of the past for hundreds of children, with the launch of a new food project that provides fresh produce and fish from an aquaponics facility. Aquaponics is a sustainable farming method which uses the waste of farmed fish to supply plants with nutrients to grow. The fish are also harvested to provide protein-rich food to communities. The facility in Soweto is part of a partnership between non-profit organisation INMED Partnerships for Children and the City of Johannesburg’s Food Resilience Unit, and was funded by the Mondelēz Foundation. “Orlando has a high unemployment rate and food insecurity among its community members, because the area does not have enough land for food production. Many school children have limited access to fresh foods, affecting their ability to learn and grow to their fullest potential,” said INMED Operations Manager Janet Ogilvie. The farming method offers the perfect solution for growing food in urban areas with limited space and water. Vegetables are grown in trays stacked on top of each other, meaning that valuable ground space is not taken up. The plants clean the waste water produced by the fish, so that it can be fed back into the fish pond. This cycle means that water is never wasted. Schools and community members will be the main recipients of the fresh produce, while some will also be donated for patients in the neighboring Elias Motsoaledi Clinic. The area has also been opened to community members for tours, demonstrations and informal training on aquaponics and climate-smart food production. City of Johannesburg Member of the Mayoral Committee for Health and Social Development, Cllr Mpho Phalatse said one of the challenges identified by the City is that some patients who visit clinics do not have proper nutrition, which affects their ability to take pills. 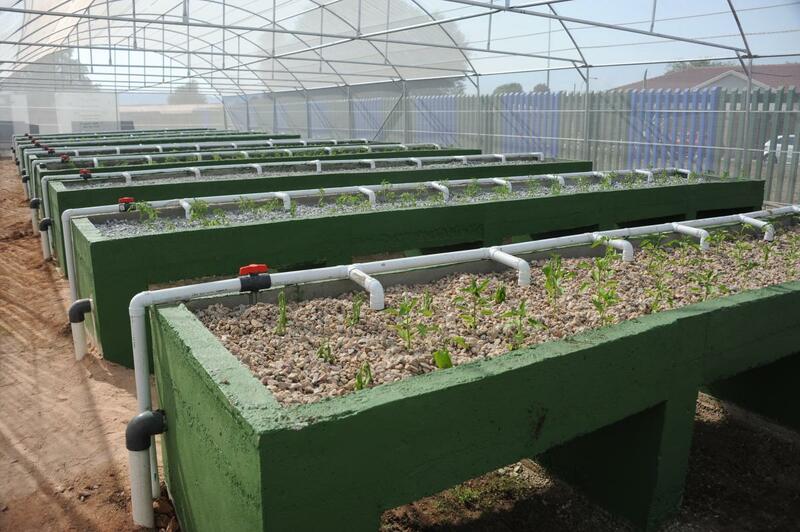 Phalatse also said the fish farming facility forms part of a broader strategy of the City of Joburg's Food Security unit to promote and enhance urban agriculture, reduce the high levels of food insecurity and create economic opportunities across the City.